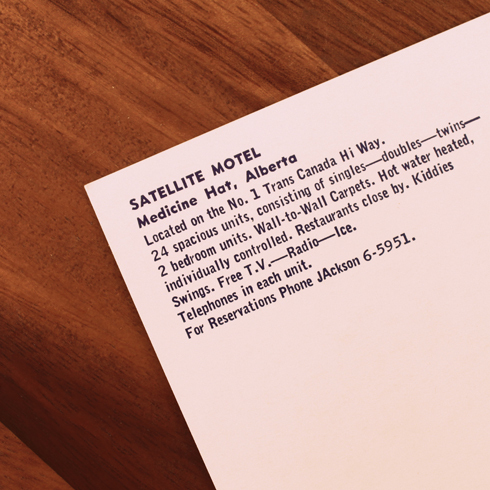 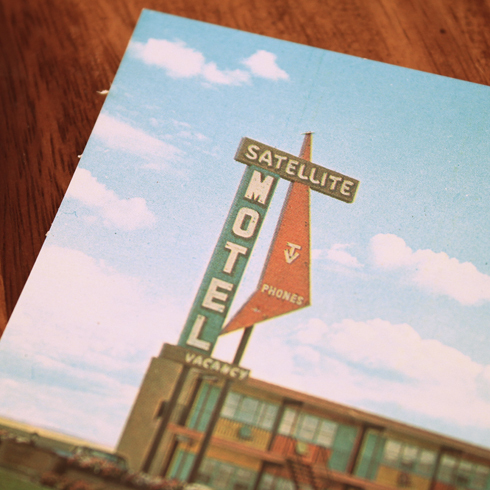 I was all too happy to find another vintage motel postcard for my collection, this one of the Satellite Motel along the Trans-Canada highway in Medicine Hat. 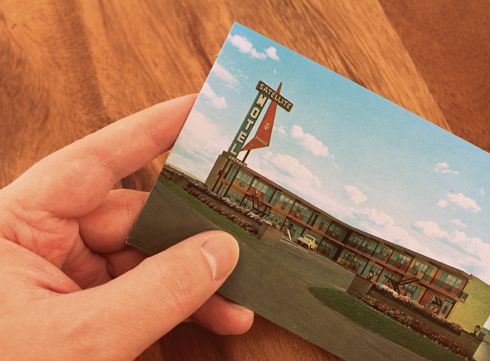 What's cool about this location is that I think the neon sign they have now is actually an improvement over this one that they had in the 1960s. 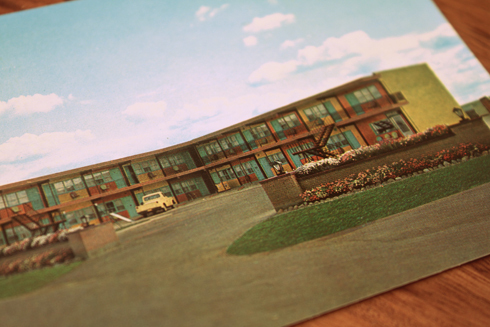 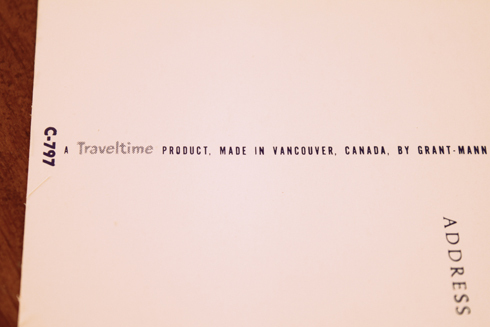 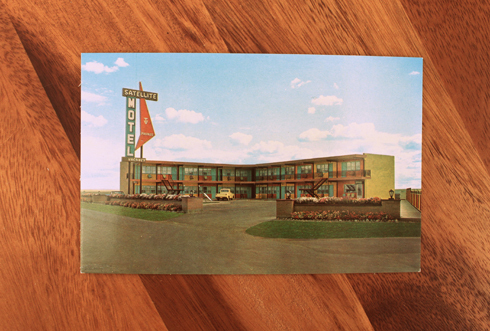 I do prefer the crazy colour scheme the motel had in this postcard though.